We have different options below to win. There are several new books out this summer. Some are offered in Kindle Format and some by paperback. Check it out and enter to win then go to the next stop on the Hop! Publication: May 15th 2014 by Hidden Falls Publishing. Audience/Genre: Historical Fiction, Time Travel. Publication: June 10th 2014 by Delacorte Press. After everything, I’m no longer the same Katy. I’m different…and I’m not sure what that will mean in the end. When each step we take in discovering the truth puts us in the path of the secret organization responsible for torturing and testing hybrids, the more I realize there is no end to what I’m capable of. The death of someone close still lingers, help comes from the most unlikely source, and friends will become the deadliest of enemies, but we won’t turn back. Even if the outcome will shatter our worlds forever. Daemon will do anything to get Katy back. After the successful but disastrous raid on Mount Weather, he’s facing the impossible. Katy is gone. Taken. Everything becomes about finding her. But the most dangerous foe has been there all along, and when the truths are exposed and the lies come crumbling down, which side will Daemon and Katy be standing on? And will they even be together? Publication: June 3rd 2014 by NAL. But just when Marco thinks they’re committed to a future together, Hannah makes a discovery that unearths the secret pain she’s been hiding from him, a secret that could tear them apart before they have a real chance to start over again…. I want to read Take Me On by Katie McGarry next. 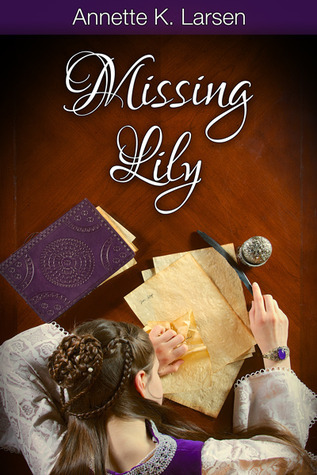 Missing Lily by Annette K. Larsen. I would love to win Fall From India Place! I would choose Opal & Origin =) and I'm absolutely dying to read Ugly Love by Colleen Hoover! Can't wait for that one to come out! I'd choose Written in My Own Heart's Blood. I think Missing Lily sounds like a great book- I love fairy tales! Written in My Own Heart's Blood: A Novel (Outlander) by Diana Gabaldon falls into both categories. I've been holding off reading it because I am hoping that my library gets the audiobook. I really want to read In My Own Heart's Blood. I love Diana Galbadon! Thanks for hosting this awesome giveaway! I so want to read Fall from India Place (On Dublin Street #4) by Samantha Young. Did Marco leave Hannah pregnant and do they find their happily ever after?! I really like to get a copy of Written in My Own Heart's Blood, thanks for the chance to win one. I would pick Written in My Own Heart's Blood. Written in My Own Heart's Blood is the book I am dying to read this summer. Missing Lily.I love clean romance and I love fairy tales.I also can't wait to read Four a Divergent Collection and The Fire Wish by Amber Lough. 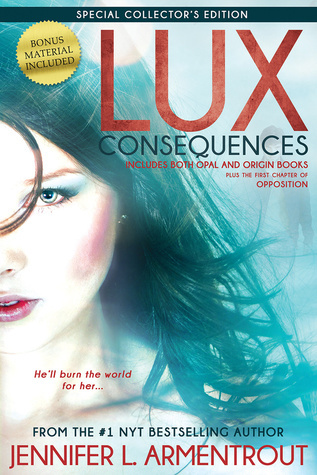 I would love to win Lux: Consequences! I'm pretty excited to read A Dangerous Breed by Thomas Hopp, My Haunted Love by Jamie Wilsoncroft and The Vampire Diaries:The Awakening by L. J. Smith. Thank you for this amazing giveaway and the chance to win! A tie between Lux and Missing Lily. I want to read The Book of Life by Deborah Harkness this summer. I would like fall from india place. Fall from India Place -- I LOVE Samantha Young!! Missing Lily and also Lux both look very good. There are so many wonderful authors and books. I go insane trying to read/review them all! I will go with Lux: Consequences ! :) I am dying to read Sinner by Maggie S. ! Torn between Jennifer Armentrout's and Diana Gabaldon's books.. Guess I would have to decide if I am to win. Written in My Own Heart's Blood would be my choice. 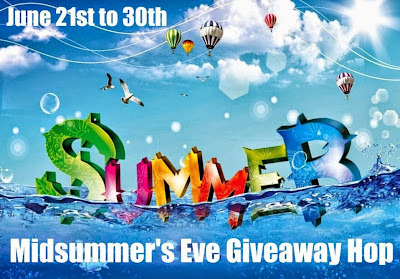 :) Thank-you for the wonderful giveaway. I'd choose FALL FROM INDIA PLACE. I'd love a copy of JLA's *Lux: Consequences*. I'd choose Diana Gabaldon's book. I think Missing Lilly sounds good! I'd love to have Written in My Own Heart's Blood. Written in My Own Heart's Blood: A Novel I am so eager to read it. My choice would be Written in My Own Heart's Blood. Not sure which book I would choose, but the next book I'm really eager to read is Landline by Rainbow Rowell. 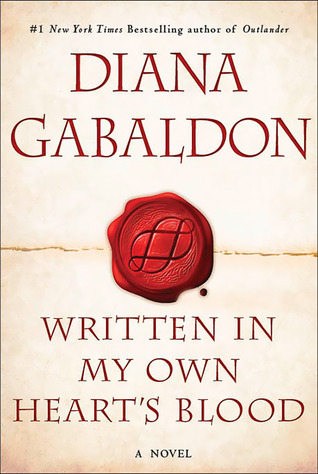 I would love to win a copy of Written In My Own Heart's Blood by Diana Gabaldon. Thanks for the great giveaway! Missing Lily sounds really good. It's difficult for me to choose between Lux and Written in My Own Heart's Blood. I would definitely choose Lux: Consequences. Thank you so much. Great choices.